Travelling with a partner comes easy. Travelling with friends is fun. But travelling with your mum is special. A fleeting chance to relive your childhood and get to know more about the woman in your life who probably knows you more than most. Maybe even more than yourself. In case it wasn't clear, we're fans of travelling with our mums. Not because they make sure we've always eaten and they can often read a map better than us, but because they often surprise us. So, in the spirit of Mother's Day, we're reminiscing about our favourite travel memories with our mums. Me and my mum walking in Crete, donning very nineties clothes! The best holiday I had with my mum was when I was just four years old. Me, my mum and my sister went to Crete for a two week summer holiday. It was my first proper trip and the first time I’d ever set foot on an aeroplane. I absolutely love the Greeks too – some of the nicest people you’ll ever meet. 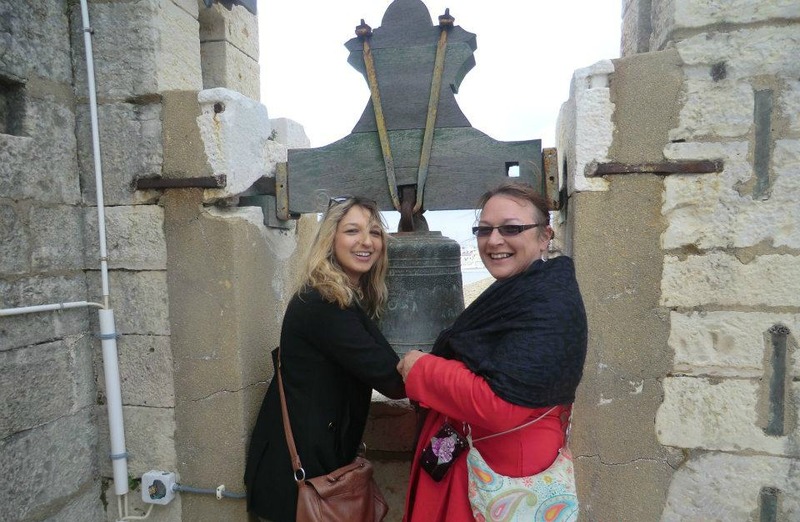 I love travelling with mum because she’s fiercely independent and was then a single mum, taking two children abroad for the first time – she’s an inspiration. She’s also not one to laze by a pool and do nothing, she wants to get out and explore, really soak up the atmosphere of a place, get immersed in the history and culture of it all… Which is probably why I’m exactly the same! She’s my travelling muse. 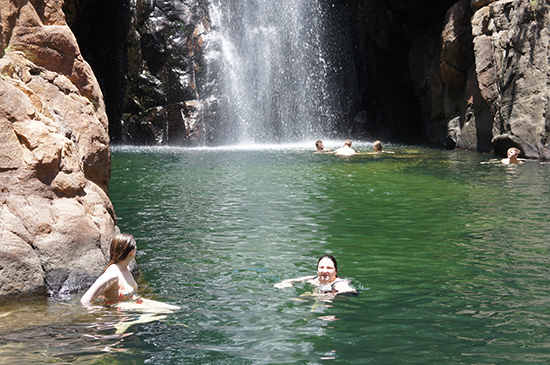 Me and my mum swimming in a water hole in the Northern Territory, Australia. My mum is a keen traveller and is probably responsible for why I want to travel so much. We’ve been on some great holidays together; beach breaks, ski trips and city escapes. Wherever we go, we usually end up swimming somewhere. She has this thing where she likes to put her feet in the water wherever she is, so she can say she’s touched every ocean. The biggest and best trip we ever did was two weeks in the USA. Travelling with her was great because we did so many things that never would have occurred to me if I had gone with a friend or partner. Mum loves Washington so we went there and I really enjoyed it. She also made me go on all the scary rides at Disneyland in Los Angeles, which I never would have done if I’d gone with a friend. You’d never think it, but mums do have a way of pushing you out of your comfort zone. Me and my Mum in Faro on a family holiday to Portugal. As my wanderlust and travel passion has grown, my Mum has been there every step of the way to support me. Whether it’s to drop me off and pick me up at the airport, listen to my occasional over-ambitious travel decisions, and sit through my unjustifiably long photo slideshows. Whilst I’ve been eager to see more of the world, my Mum has always been quite happy with camping holidays along the British coast. But, as a long over-due thank you we’ll be going on our first Mother-daughter holiday to Florence and Cinque Terre in Italy this spring. I know she’s going to make the perfect companion, not only because of her patience when I am taking photos of one thing from a hundred different angles, but because she's always up for anything; a trait that has never failed to inspire me.